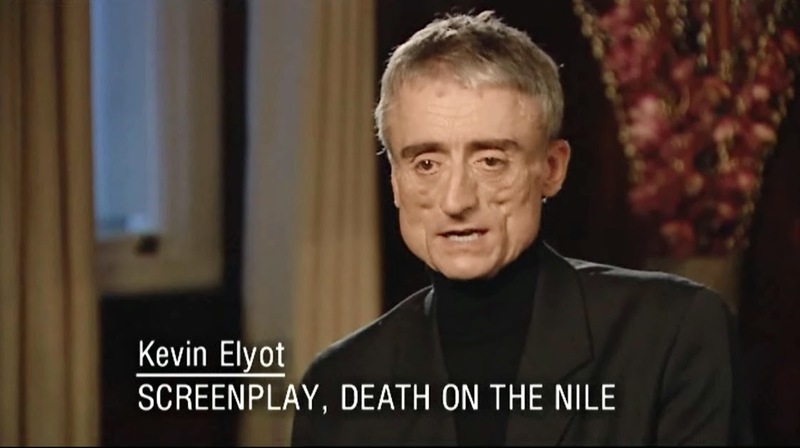 Great article and so sad to hear about Kevin Elyot's passing. I agree that his scripts have been some of the best throughout the series, and in the Marple series. Curtain and 5 Little Pigs are 2 of my favourites, as well as Endless Night and The Mirror Crack'd for Marple. Thank you. And yes, sad news indeed. Agreed, some of his scripts for Marple were equally good, both Endless Night and The Mirror Crack'd were well-written episodes. This is a really nice tribute to Kevin Elyot– thank you for this. This is the first that I'd heard about his passing. Someone said somewhere that Poirot doesn't show his emotions. I think he shows more emotion - not to say affection - than is considered normal in the society he is in. I don't see him as emotionally "cold" the way, say, Sherlock Holmes is. Albert Finney's Poirot asks Mary Debenham and Colonel Arbuthnot why the English "hide their impeccable emotions" (i.e., falling in love.) I can't recall an example from Suchet's series that parallels that exactly, but I think Poirot often quarrels with British standards of etiquette, particularly when they make his job harder, like "not speaking ill of the dead," and hiding shameful secrets. Poirot embraces (and even kisses) male friends. In the books, Hastings is always embarrassed when Poirot goes to embrace him. In the series, though, I think Hastings is more reciprocating, especially after a long period of not seeing each other. Poirot tries to kiss Japp in The Big Four, and Japp really recoils! I agree with you. He does have emotions. He is that little man we all love so much. If I ran Into to him I would be star struck.He has made a great impression throughut the series and David Suchet is the King. Death on the Nile was possibly less successful, particularly with some of the changes to the minor characters, but nonetheless among the better episodes of the entire series. I don't think I can agree with the above comment. "Death on the Nile" wasn't bad, but I believe it could have been better. And by the way, Check the latest episode of Hunted I love that tv series.